Sparkling Holiday Citrus Pomegranate Punch – Only 4 Ingredients! 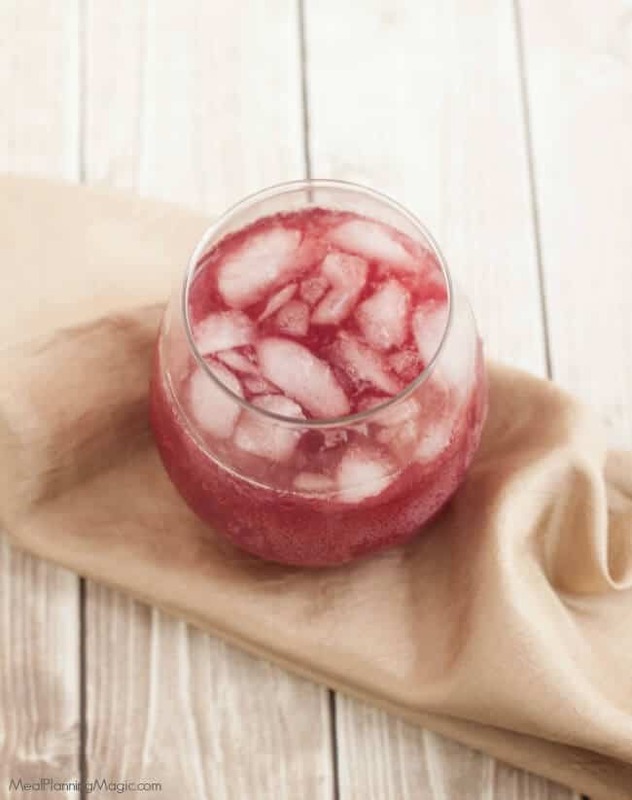 Sparkling Holiday Citrus Pomegranate Punch is a perfect non-alcoholic punch for all your special occasions. With only four ingredients it’s easy to make ahead too. Easy and delicious! CLICK HERE to save this recipe to Pinterest to remember to make it later! A few years ago I worked with Texas Sweet Grapefruit and shared a recipe for Sparkling Holiday Citrus Pomegranate Punch . Since their website no longer exists and I only shared a link to the recipe, I wanted to share this punch again here with all new photos and the actual recipe. I’m always looking for a good holiday punch that is also EASY! This Sparkling Holiday Citrus Pomegranate Punch totally fits the bill with only four ingredients. I also like to have non-alcoholic recipes for the kids and adults who don’t drink alcohol. You could easily add alcohol to this punch fi that’s what you’re looking for (I’d say probably vodka would work well). Grapefruits and other citrus like oranges and lemons are in season this time of year in the south where I am. We have our own lemon tree and enjoy making all kinds of goodies using the zest. So for the freshest version of this Sparkling Holiday Citrus Pomegranate Punch , pick up some grapefruit at your local grocery store and juice the grapefruit yourself. If that sounds like too much work or you can’t find grapefruits in your area, you can always use the premade variety (Simply Juice makes a tasty version found the refrigerated section of your grocery store). My family loves pomegranate juice so we usually buy the large bottles at Costco or Sam’s Club but you can purchase a smaller bottle for just this recipe also in the refrigerated section of the grocery store. I sometimes find it in the natural juice aisle depending on the store I’m shopping in. This Sparkling Citrus Holiday Punch is easy to make up ahead too! Just blend the two juices in a pitcher and store in the refrigerator. 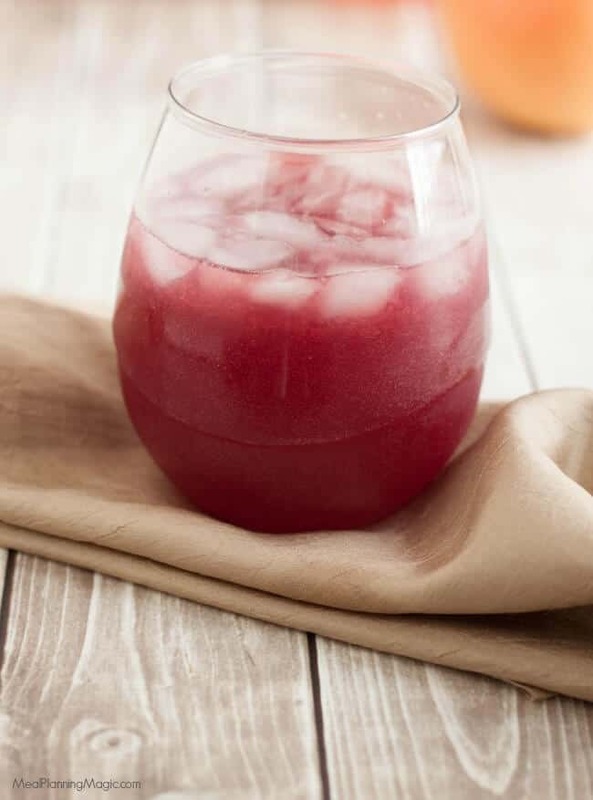 When you’re ready to serve, pour the blended juice mixture into a pretty pitcher or punch bowl and then add the ginger ale and orange slices for garnish. I like to add crushed ice as I think that looks nicer than the cubed ice in a drink. What are some of your favorite holiday punches? I hope you’ll give this one a try! 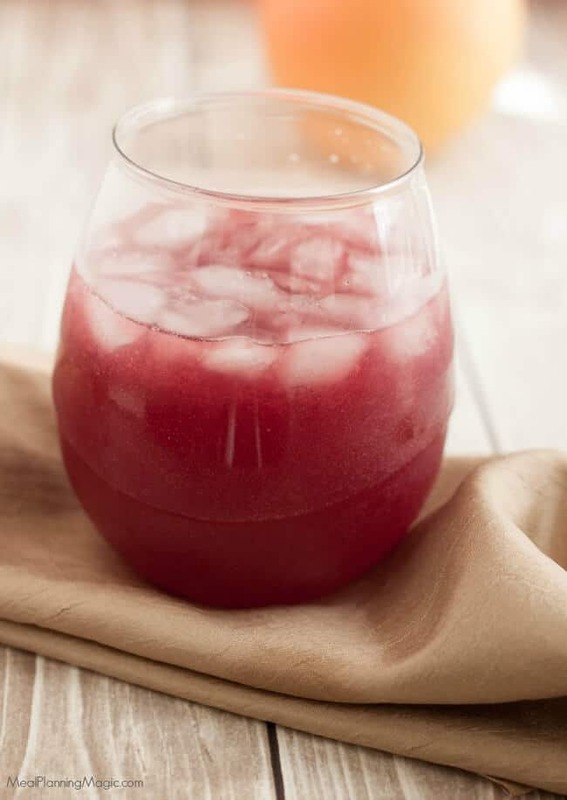 In large pitcher, stir together grapefruit juice and pomegranate juice. Just before serving, stir in ginger ale and orange slices into the grapefruit-pomegranate mixture. If you are using fresh grapefruits and juicing yourself, it would be about 4 grapefruits to equal 3 1/2 cups of juice depending on the size of the grapefruits. You could also substitute orange juice for a different twist on this recipe. 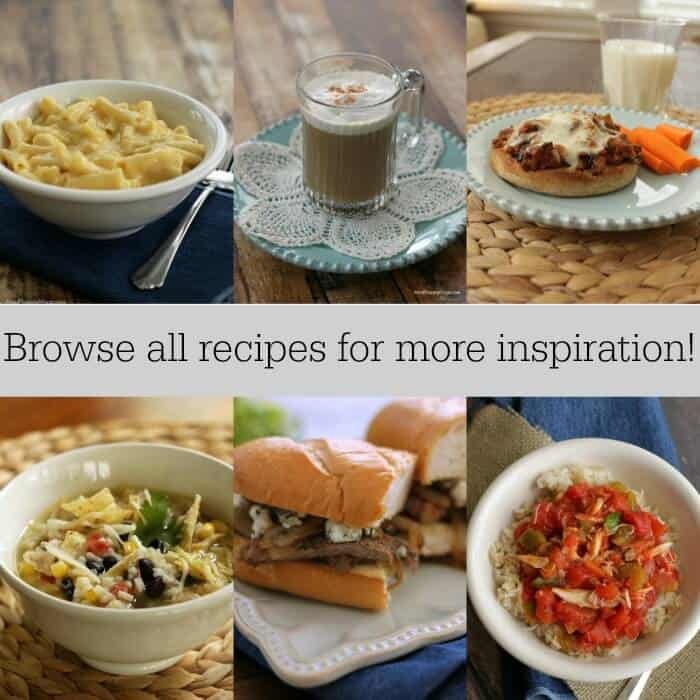 To discover many of my favorite items to make this recipe, click here to browse my Amazon shop. 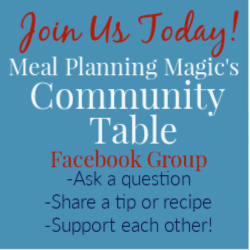 Meal Planning Magic is a participant in the Amazon Services LLC Associates Program, an affiliate advertising program designed to provide a means for sites to earn advertising fees by advertising and linking to Amazon.com. Ordering products mentioned here are at no extra cost to you. Thank you for your support.